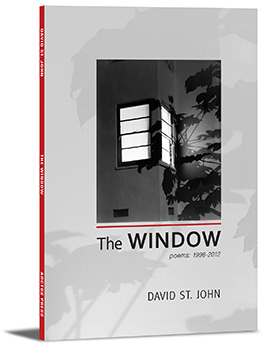 Poem by David St. John from "The Window"
David St. John is the author of ten collections of poetry, including Study for the World’s Body: New and Selected Poems, which was a finalist for the National Book Award, as well as Where the Angels Come Toward Us, a volume of essays, interviews, and reviews. He is also the author of a previous collection of poetry from Arctos Press, entitled PRISM, with photographs by Lance Patigian. David St. John lives in Venice Beach, California.